Releasing as a short-lengthed teaser to the forthcoming novel The Girl in the Moon, a new novella from #1 New York Times bestselling author Terry Goodkind. Wandering through the snowy woods in the mountains near her home, Angela Constantine stumbles upon a wolf feeding on the body of a murdered young woman. That discovery is only the start of her problems. Throw a blind evangelist and his mute sister into the mix, and #1 New York Times bestselling author Terry Goodkind has concocted another irresistible cocktail of suspense, a tale where the difference between life and death dances on the edge of a razor-sharp blade. 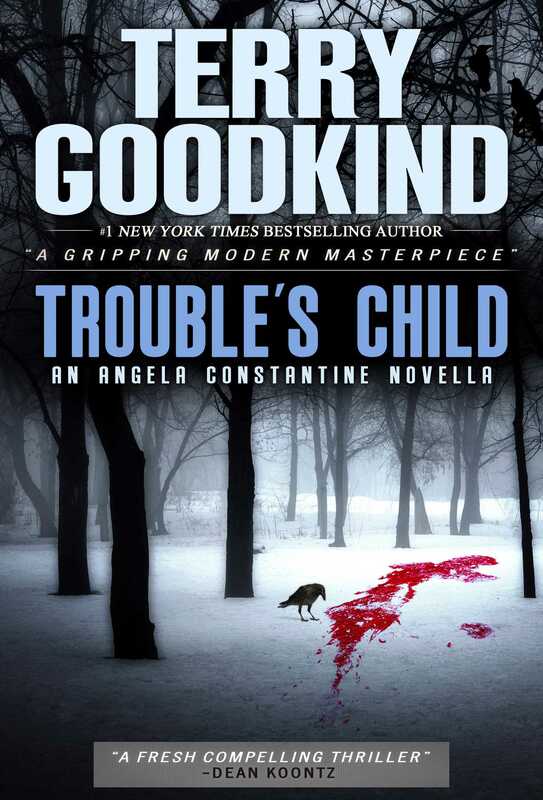 Trouble’s Child, a brand new novella set in the world of the highly-anticipated upcoming novel The Girl in the Moon, is the perfect introduction to Angela Constantine, Goodkind’s most memorable creation yet: beautiful, mysterious, and deadly.